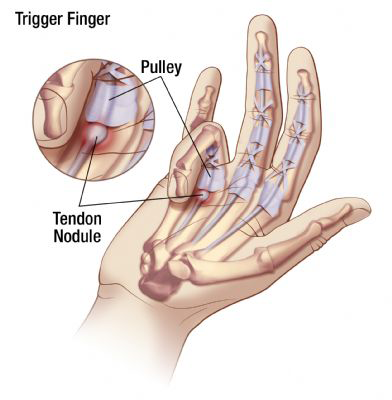 The trigger finger is stenosing tenosynovitis of the flexor tendons at the mouth of the sheath (A1 pulley). It is either acute or chronic inflammation of the sheath of flexor tendons. The routine treatment of rest, ice application and anti-inflammatory drugs do work in some patients. 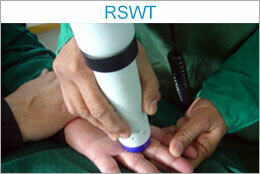 Resistant patients are offered surgery which is time tested and result oriented hence established as a gold standard. 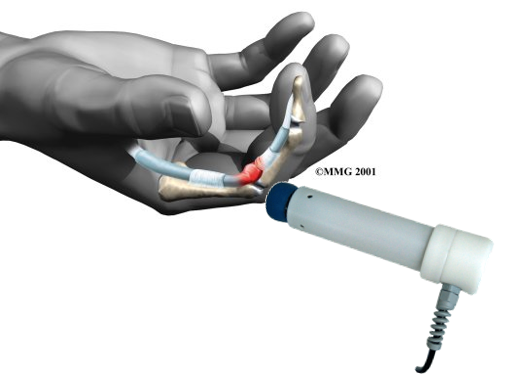 Those patients who does not want to undergo knife, or are a high risk due to comorbid conditions like uncontrolled diabetes can opt for Radial Shock Wave Therapy (RSWT). The advantage being a non-invasive and outdoor procedure with no need for physiotherapy or splintage and going back to job right away for professionals.